Photon Gallery participated on Monat der Fotografie 2006 in Vienna, Austria, with the group exhibition project named Prehajanja / Transitions. The exhibition Prehajanja / Transitions was on tour later in 2007 in the gallery Il Quadato, Udine (I), in November 2007: Month of photograpy 2007, Gallery Vžigalica, Ljubljana (SLO), in September 2008 on festival Triestefotografia, Trieste (I). 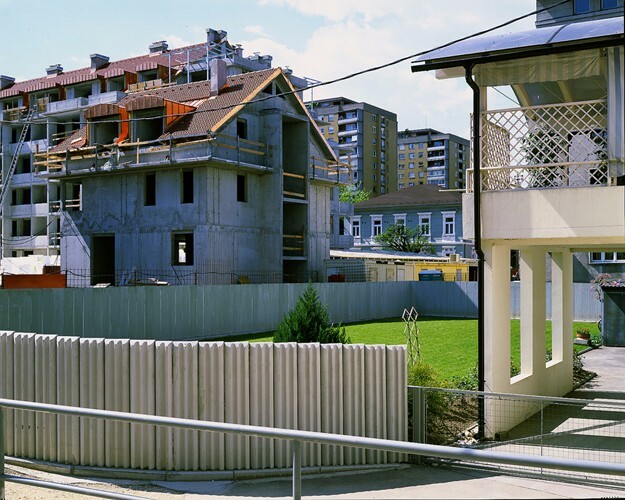 The Transitions project essentially introduces a specific iconographic context, which – through the medium of photography – addresses individual phenomena of contemporary urban environments. 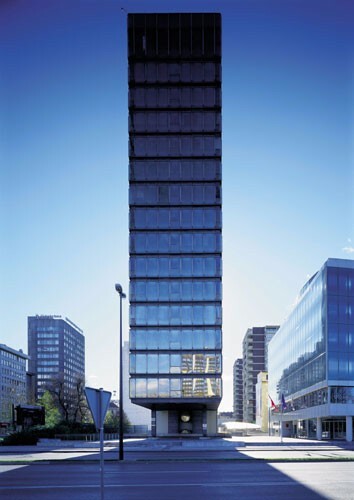 The images from the exhibition thus transport us, in particular, through various architectonic strata of the city of Ljubljana, which, by way of rapid urbanisation, is establishing itself in the greater European milieu. Further to this, the exhibition also represents a 'walk' through a single layer of Slovene photography, exposing certain original and iconographic positions that appear as intriguing in contemporary photography. In this respect the selection draws special attention to works by three artists – Branko Cvetkovič, Tomaž Gregorič and Bojan Salaj – whose body of work spans many years and whose longstanding projects are distinguished in a contemporary context at the intersection of documentary and art photography from the 1990s onwards. The general premise of the exhibition addressed the question of particular tendencies, artistic positions or body of works by some photographers who for the most part share a professional interest in urban motifs and architecture. Due to the focus on architectural elements and the absence of human figures, this specific type of 'urban landscape' is usually referred to as 'architectural photography'. As a consequence of the differing premises and concepts of the individual artists, the common syntax often turns out to be yet another 'iconographic category' or merely a descriptive tool. Nevertheless, two distinctive models of aesthetics can be postulated in this iconographic respect, where, in addition to the relevant conceptual premises we also find utterly elaborate realisations. The first movement could be defined as 'subjective-expressionistic', which in terms of form is characterised by the use of black-and-white analogue photography, whereas in terms of theme and imagery it encompasses urban motifs, industrial scenes or the aesthetization of local architectural accomplishments. After work of earlier photographers – such as Marjan Smerke, Janez Kališnik and Ivan Dvoršak, we can identify at least two relevant bodies of work of the past two decades that transcend the conventional standards of architectural photography. Damjan Gale transcends the documentary aspect of 'pure' architectural photography through a distinctively subjective insight, as well as by playing with form. Due to his predominant theme – the works of architect Jože Plečnik – Gale's work gains the dimension of a monographic opus. With regard to documentary illustrations of a variety of architecture in a search for primary function within utilitarian or professional and commercial contexts, the works by Miran Kambič have recently drawn attention. 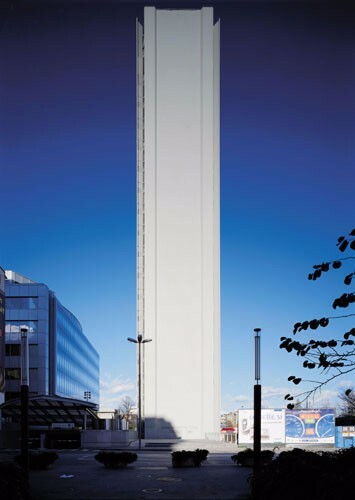 A special mention should be made of body of works by Antonio Živkovič, distinguished by systematic engagement in the topography of post-industrial scenery, the originality of which – despite reference to some principles of the great founders of the Dusseldorf school of photography (Bernd and Hilla Becher) – is directly related to the artist’s subjectivist attitude. A different approach, which is only conditionally related to the 'architectural photography' theme, is characteristic of more recent works identifiable by way of their somewhat cold and distant objectivity. As a rule this encompasses large-format colour photographs that are – in terms of form – distinguished by the sharpness of detail of the subject matter, as well as harmony with regard to composition, light and colour. Such aesthetics are usually ascribed to photographers of the so-called 'post-Dusseldorf school' – such as Andreas Gursky, Candida Höfer and Thomas Struth – whose presence has been felt very strongly in recent years. As to Slovenia, such an approach is most consistently employed by Branko Cvetkovič. As to the other two photographers in this exhibition, their aesthetic premises and concepts are directed elsewhere; accordingly, merely segments of their opus could be said to fall into this category. 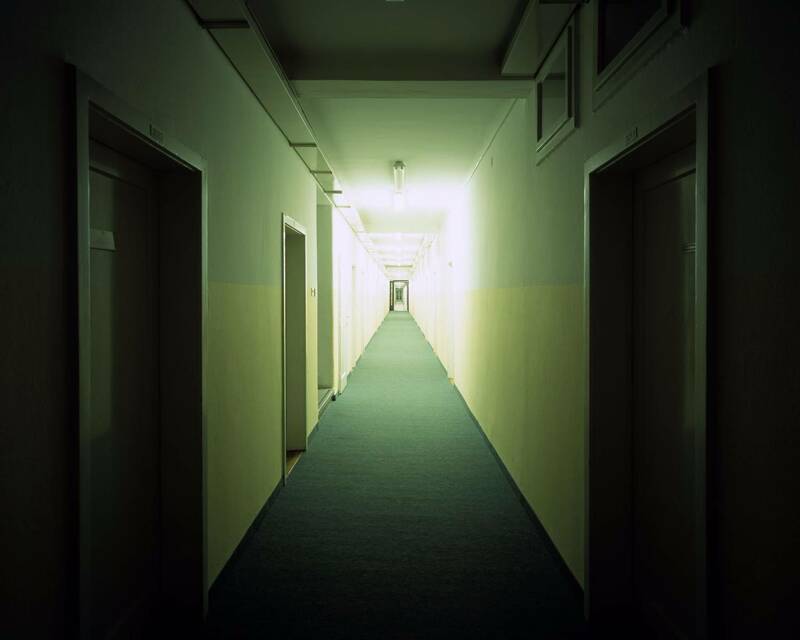 Bojan Salaj embarked on his Interiors cycle three years ago, and has thus far 'recorded' through his lens the premises of some of Slovenia’s cultural institutions, as well as the fabric of church rituals (namely, confessional boxes) and a number of public buildings. Salaj's photographs depict highly objective 'naked' images of such amenities, which appear empty and cold, thus creating a strong alienating effect. The artist is more interested in the semantic and social functions of the depictions, and his pictures encourage consideration as to the symbolic order and meaning of the places depicted, as well as their social, cultural and ideological functions. 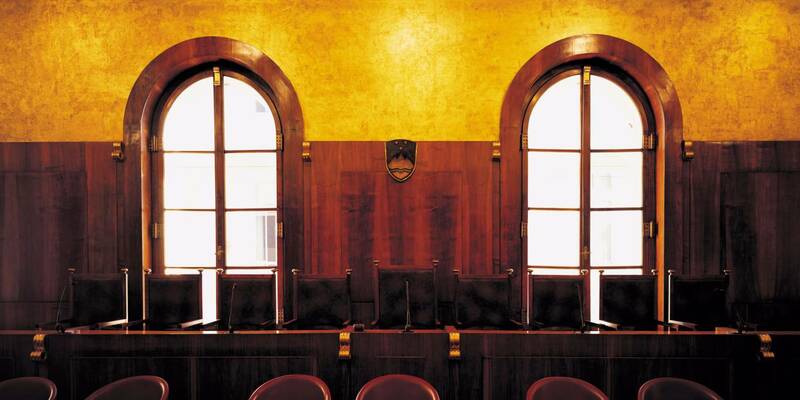 The exhibited works encompass large-scale colour photographs which portray 'representative' state institutions, such as the Constitutional Court, Parliament, and the Office of the President of Republic. Branko Cvetkovič maintains a standard of rigorous objectivity in his depictions, adding value through technical refinement. His work is strictly systematic, using a framing procedure which invariably derives from the same focal point, thus as a rule his works are symmetrical. Cvetkovič finds formal principles of composition of primary importance, be it through constructive or deconstructive logic. 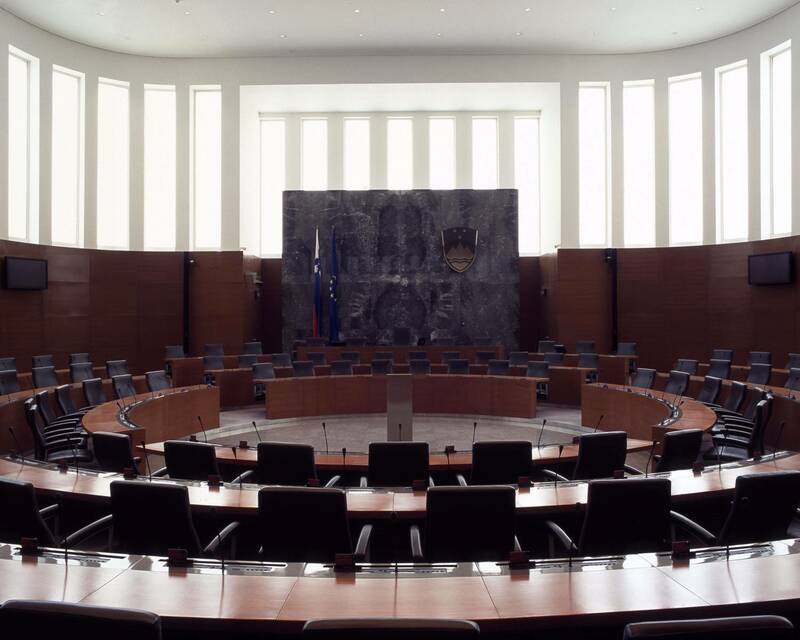 He is particularly interested in unveiling the symbolic meaning behind the buildings in relation to the urban history of Slovenia’s capital. 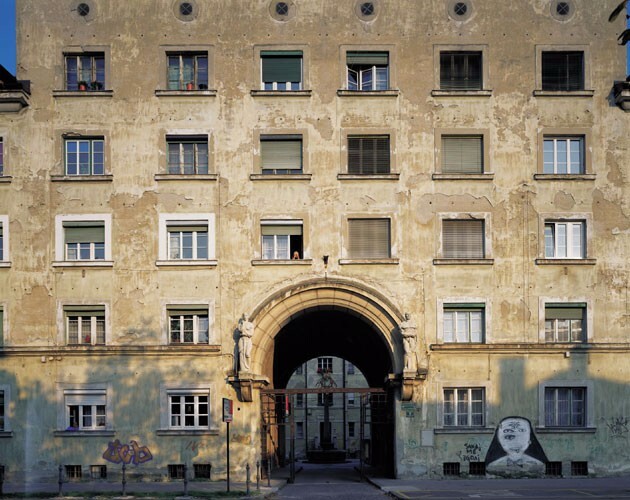 The selection of motifs reflects the artist’s preoccupation with the issues of Ljubljana’s urban-architectural countenance. This photographic documentary of spatial reality has been created within the context of a series entitled En Face. Tomaž Gregorič is actually more difficult to define within the notion of 'architectural photography'; indeed, his central iconographic theme is 'space' in a broader sense of the word. From the mid-1990s, he has been focusing on motifs drawn from the urban margins, which encompass images of suburban developments, individual buildings, housing estates or emergent urban infrastructure. But his eye is to the same extent intrigued by that which lies 'beyond' – the blurred transition between human settlement and nature, at the place where urban architecture and culture gives way to a more natural and organic order. 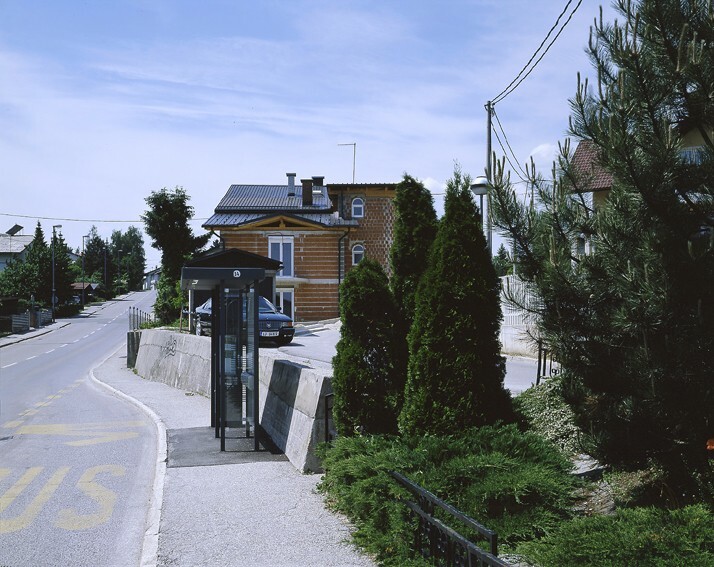 Gregorič is certainly interested in the anthropology of the verge between townscape and nature, and such motifs are captured in his series entitled Outskirts. Regardless various aesthetic premises and conceptual intentions, some common characteristics are of particular significance, establishing the conceptual framework of the cycles of the selected photographers. The ‘apparatus’, which propels both the formal and technical processes, involves consistent perseverance in working with large-scale analogue cameras and digital prints. The similarities are to be searched for in the principle of continuity, and their succession as work-in-progress; thus we deal with visual studies lasting many years. The third formal similarity is the precise registering and recording of various categories of motif in the context of which 'visual archives' are compiled; some sort of 'indexation' of the selected motifs seems to be at work. Indeed, all three series embrace large images of specific urban landscapes, which adds topographic dimension to the work. Furthermore, the Transitions project extends beyond a mere exhibition, addressing the issue of the various perspectives of roles and meanings pertaining to the notion of space. It is an ongoing juxtaposition of thematic pairs of original perspectives, such as outside/inside, clothing/body, central/peripheral as well as urban/natural. As such it provides the premises for reflections of broader semantic dimensions of the original poetics being exhibited, as well as further analyses of some movements within photography in Slovenia today. Based on the said characteristics and a distinctively contemporary approach to photography, which transcends the conventional practises of so-called 'modernist' photography, I firmly believe that selected artists represent one of the peaks of creativity inSlovenia in the field of photography over the last decade. Furthermore, in a semantic context, this exhibition selection also provides an intriguing insight into broader spatial and social shifts during this most recent chapter in Slovenia’s history.